MINNEAPOLIS, MN- January 25, 2019 – Atrial fibrillation (AFib) is associated with a 5-fold increased risk of stroke. Nearly 3 million Americans are living with AFib. For years, researchers have been looking for ways to reduce the risk of stroke for this patient population. 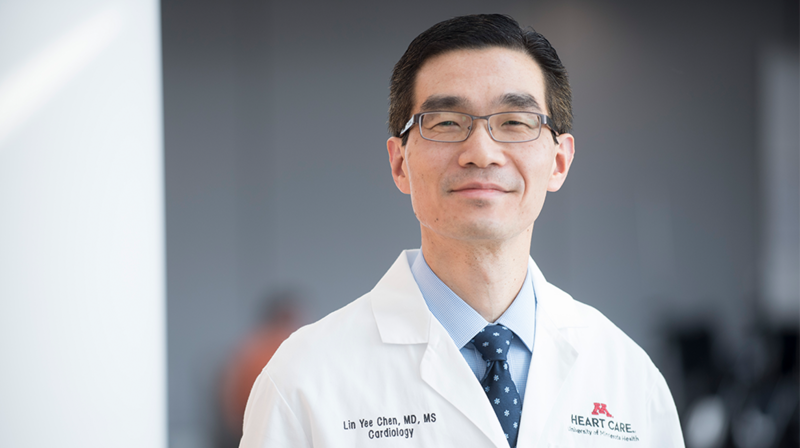 In a recent article published in Circulation, Lin Yee Chen, MD, MS, Associate Professor with tenure, Cardiovascular Division, in the Department of Medicine with the University of Minnesota Medical School demonstrates how to improve the prediction of stroke in patients with AFib. “We now possibly have a better scoring system that we can use to more accurately classify which patients with AFibare at higher risk of stroke, and who may require treatment to prevent stroke,” explained Dr. Chen.